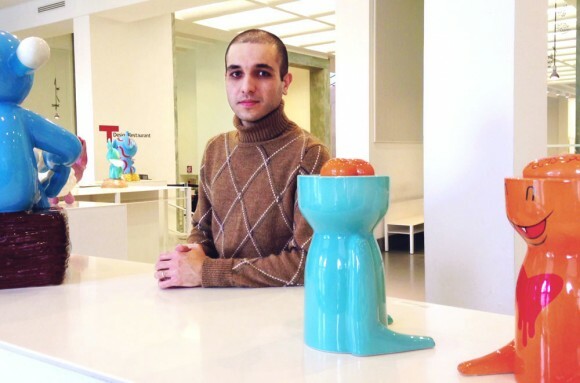 Amir Alizade is a Milan-based designer whose minimalist ceramics are for sale in boutiques and museum shops. We meet at the Triennale design museum in Milan to see his 'coffee hanger' cup and 'partou' candle holder displayed in a glass case in the bookshop and to sit down in the stylish cafè to talk about how he came to live in Italy, his aesthetic and his dreams. As my tea arrives, the conversation turns immediately to the kinds of objects that Amir has designed in the past few years - might the hanging mug and teacup with integrated timer be efforts to bring the Iranian tea-culture of his roots to an Italian public? He days no, explaining that Iranian tea is made with loose leaves in a samovar.... so much for this first assumption. Amir was born in Tehran in 1978 and studied industrial design at the university there. After working for a few years, he enrolled in a Masters in product design at Milan's Politechnical Institute in 2005. Is Italy a well-known destination for Iranian designers? He says Milan certainly is, and the Politecnico kept showing up every time he read the bios of designers whose work he admired - especially those who collaborated with important companies, which was his goal. After graduation, he found it hard to find such collaborations due both to competition and to crisis. But he has decided to remain in Italy, positive about it despite the challenges. In 2010, Amir founded his own design studio and started taking matters in his own hands, literally, by doing self-produced design. One of the greatest values of Made in Italy is its artisans, so he started looking for artisans with whom to collaborate to make his designs. 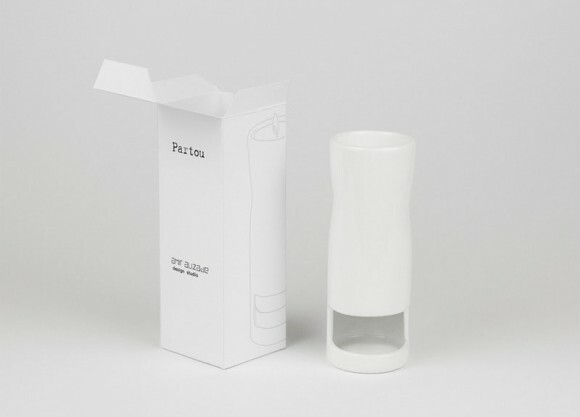 The first ceramic project that he did was a timer-mug that was shortlisted in a competition launched by DesignBoom on the theme of the kitchen. This project was difficult because he had yet to find the right artisan with whom to work. Not knowing anyone in Milan, he searched online and started working with an excellent ceramicist whose results, however, were not precise enough for Amir. He would need to develop a more serial method that would guarantee consistent results. Soon after, Amir met an excellent artisan with whom he says he 'speaks the same language.' The resulting ceramic coffee hanger mug, partou candle holder and nuovo egg holder are the fruits of this collaboration. While these are artisanal, handmade products, they start first with a three-dimensional computer model. 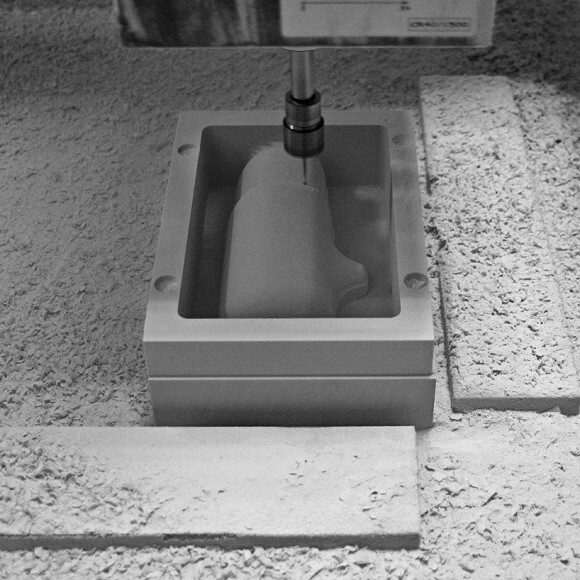 This digital design is used to produce a resin model using a CNC machine, and from there a gesso mold. 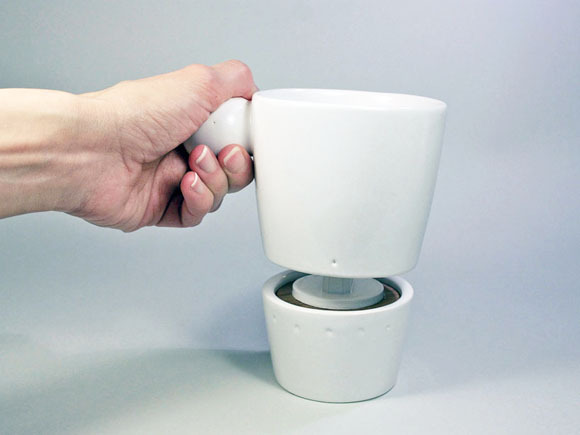 Always a perfectionist, Amir says that he finds the shape of the mug to be a real pleasure to use, but the handle, while ornamental and useful for storage, isn't really all that practical for holding the mug itself. Of his second project in this series, the Nuovo Portauovo, he is also critical, but this time not from a design so much as a cultural perspective. Eating boiled eggs, served with the shell on, is part of an Anglo Saxon tradition that Amir practises at home, so he was surprised to find out that Italians peel the egg before putting it on the table. 'Where's the fun in that,' he asks, explaining that there's a game to be found in attempting to de-shell the egg in the fewest pieces possible! But then, where to put the shells? 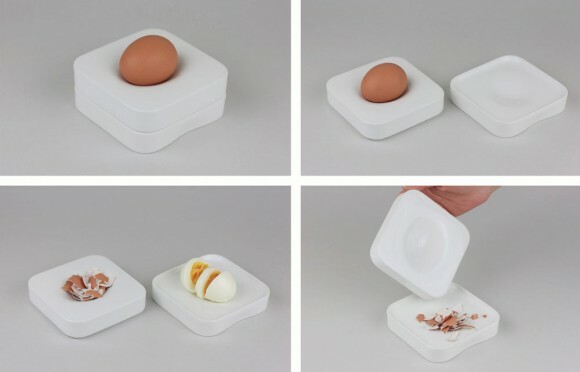 This square egg holder with rounded edges and a slight concavity for the egg in question opens up to reveal a space to neatly store egg shells. 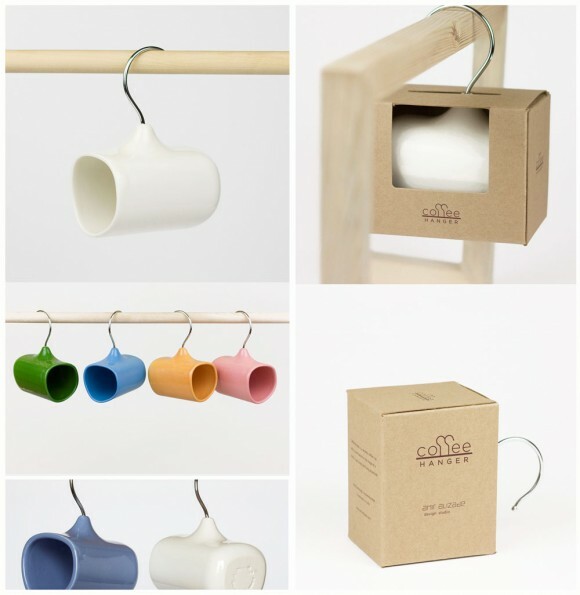 Beyond product design, Amir clearly has a love for package design, making his ceramics excellent gifts. He admits to spending almost as long designing the packaging as the object. The boxes are custom made and printed to his specifications. It's clear that Amir could have chosen from a number of visual professions. Asked what he would do if he were to change careers, he says, without even pausing to think: music video-maker. With his minimalist and functional aesthetic, who knows what impact he might have on the music industry!